"Sesame Street" had a little fun with last night's debate, tweeting a response to Romney saying he would eliminate federal subsidy to PBS. Sesame Street’s Big Bird took on an unexpected role during Wednesday night’s first presidential debate as Republican nominee Mitt Romney said that as president he would eliminate the federal subsidy to the Public Broadcasting Station (PBS), home of the big, beloved, yellow bird. “I like PBS; I love Big Bird. 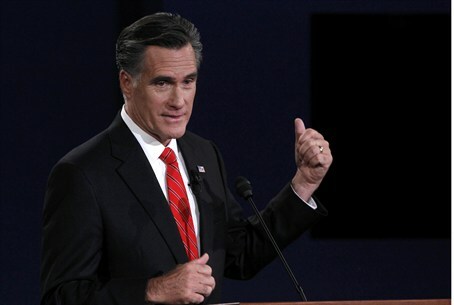 Actually, I like you, too,” Romney said, addressing debate moderator Jim Lehrer, the host of PBS's "NewsHour." “But I'm not going to keep on spending money on things to borrow money from China to pay for." The television show then tweeted a reminder to fans that they do not take a position on political elections. “We are a nonpartisan, nonprofit organization. We do not comment on campaigns, but we’re happy we can all agree that everyone likes Big Bird!” the tweet read, according to The Hill. Sherrie Westin, the executive vice president and chief marketing officer for the nonprofit organization behind "Sesame Street," told CNN on Thursday that the children’s show actually receives very little financial support from PBS and raises most of its funding through licensed products and philanthropic sponsorship.